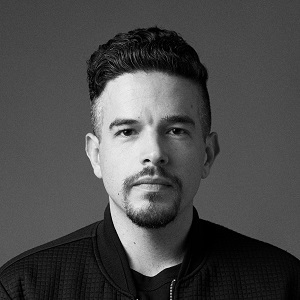 Andrew Gibbs has been called an “innovator in the world of design” as the founder, CEO, and Editor-in-Chief of Dieline, founded in 2007.Andrew started Dieline Awards in 2009 to formally recognize the world’s best consumer product packaging design. The awards competition was recognized as a “global phenomenon” in its first year.In 2010, he founded Dieline Conference, an annual conference for creative professionals in the packaging design and branding industry.He now serves as Creative Director and Programming Partner for HOW Design Live, one of the largest annual gatherings of creatives in the world.In 2014, he became a faculty member at ArtCenter College of Design in Pasadena, CA teaching Packaging Design. Andrew was previously named the Editor-in-Chief of HOW Design Magazine in 2015, making him the youngest editor of a design magazine ever.In 2018, Andrew became a Climate Reality Leader after training under Al Gore at the 2018 Climate Reality Corps. He joined A Plastic Planet, a U.K. based non-profit that is dedicated to dramatically reducing the amount of single use plastic used in the packaging industry. Andrew speaks and consults worldwide on the topics of packaging design and sustainable packaging.